Q. After the "Location" and "Call No." 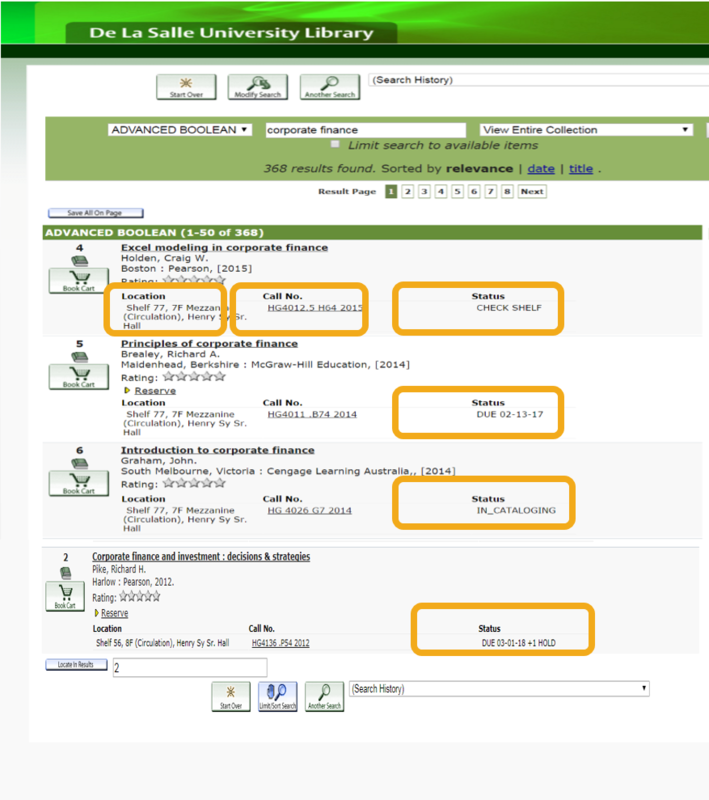 what does the "Status" indicate in the Web OPAC (Online Public Access Catalog)? indicate that the material is already on loan with another library patron. indicate that the material is on shelf and available for borrowing. means that someone else has reserved the book while it is out of loan.